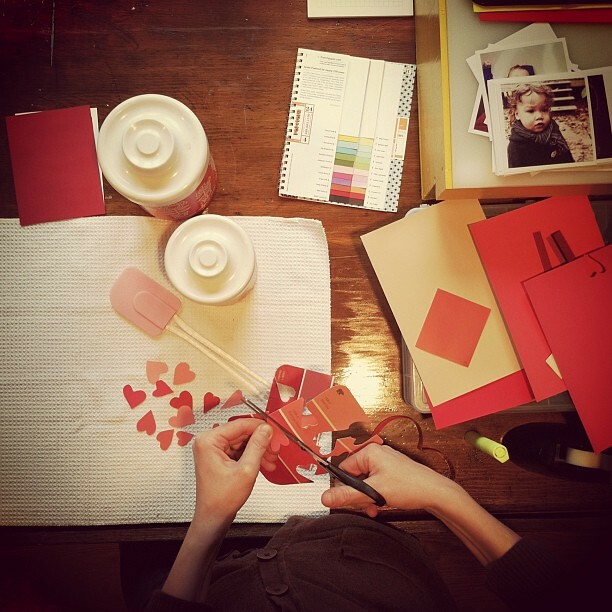 Thinking of elementary school as we cut out hearts in preparation for a valentine photo shoot. Ooooh...I should never have thrown out all those paint chips after I decided on the one color! Great idea for using everything! I look forward to seeing how it all turns out.